Nothing is better than the smell of freshly baked bread. That smell, however, does not come hand in hand with a loaf of bread brought from the local grocery store. If you want that delicious smell of baked goodness throughout your home, then you’ll have to put on your baker’s hat and apron and bake a loaf yourself. Learning how to use a bread maker can make this a lot easier. The thought of baking bread and kneading it yourself may sound overwhelming to many, but a good bread machine does it all for you. 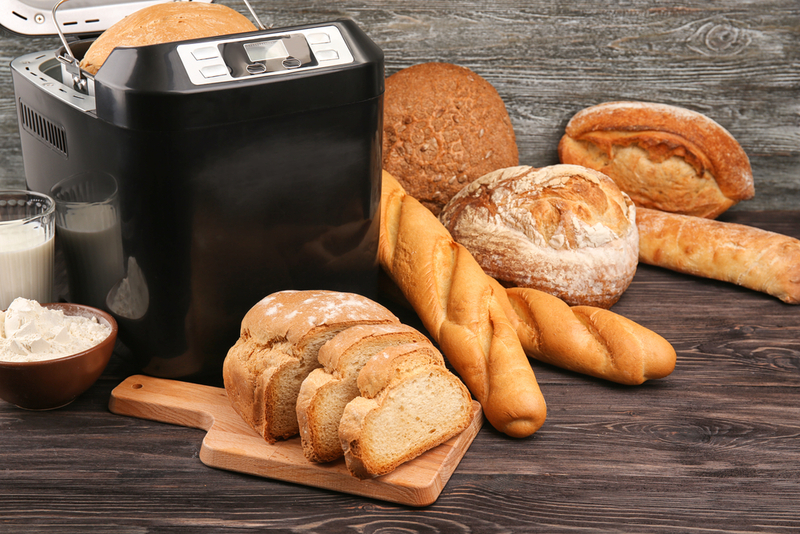 If you already have a bread maker appliance at home, read on to find out how to get the best out of your bread machine — and for more than making just bread. 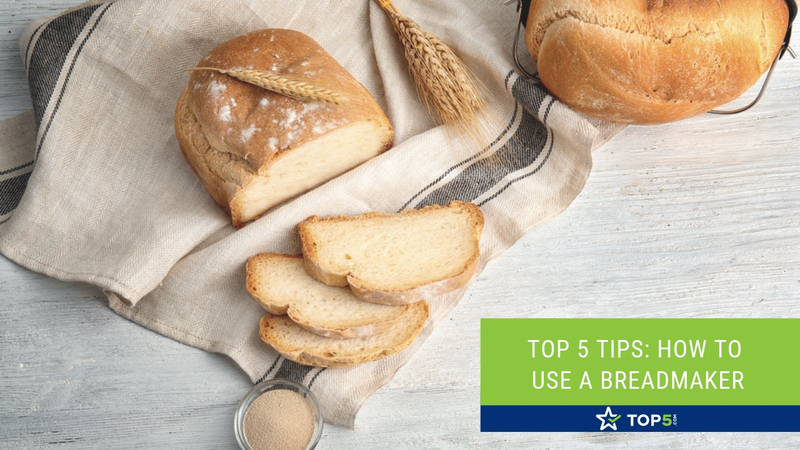 Check out these five tips on how to use a bread maker to make delicious homemade bread and other foods. To get the most from your bread machine, you need to know the ins and outs of the appliance. Take the time to get to know your bread maker. If you want to use it correctly, you need to know what does what and how it is made to understand how it works and how to get the best out of the machine. First, see how the lid works and take out the pan and replace it to get used to how the components fit and work together. Next, look at the blade. At the center of the bread pan, you’ll find a blade, which is used to knead the dough. Practice removing the blade and replacing because this is something you will have to do often. 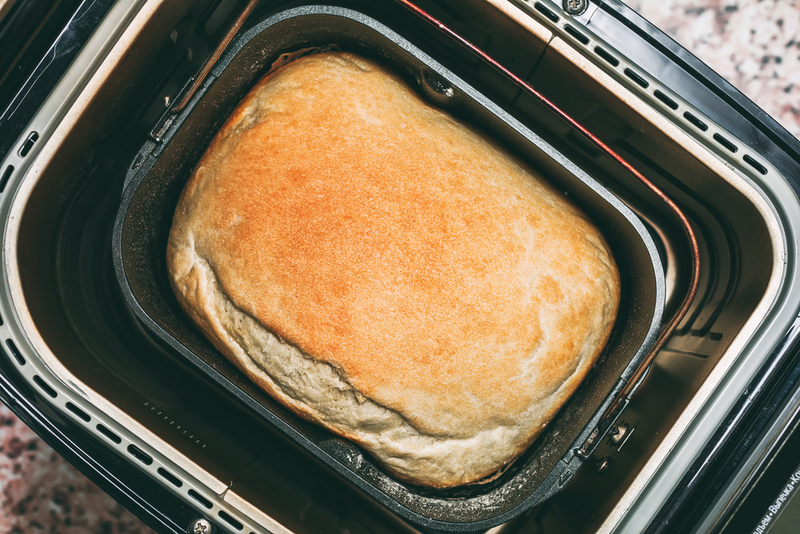 This step may seem obvious, but you should find out how much you can fit into the pan of the bread maker. You’ll need to match the recipe to the size of your bread pan. Otherwise, it may result in a mess or a smaller loaf than you intended. Look at the buttons on the display screen and familiarize yourself with the control panel. Most machines have buttons that say Select, Start/Stop, Crust Color, and Timer or Arrow button. The select button will give you several options to choose from such as Basic, Whole Wheat, or Sweet. Each of these options will set a different cycle, which will take different amounts of time to mix and cook the bread. Go through the manual to find out what each button and option does. That way, you are already up to date and aware which option to choose when baking the bread. Once you know more about the machine itself, you can get started picking out the first things you’ll make. 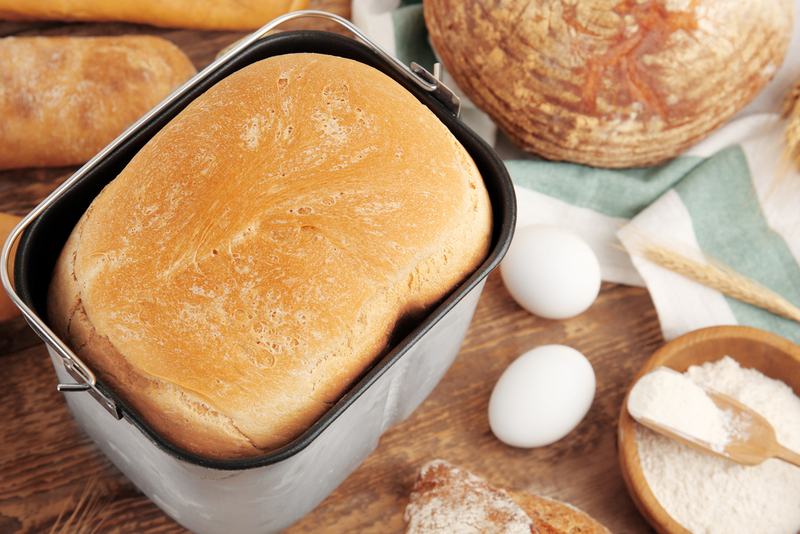 Follow these tips to know where to begin with how to use a bread maker. If you are new to the bread making game and the joys of a bread machine, start with a simple recipe. Never dive straight in with an overcomplicated recipe because this often results in frustration and disappointment. 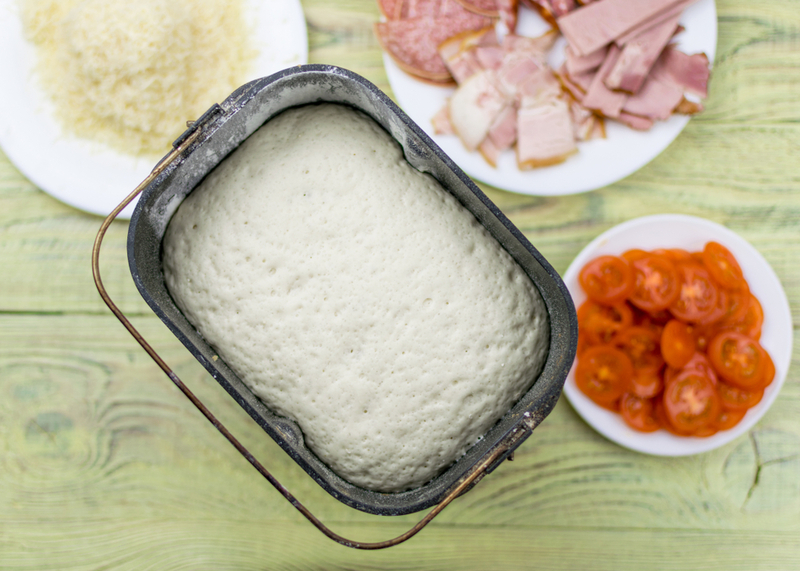 Pizza dough or a simple white loaf is always a good starting point for a beginner. Like with any recipes, always be careful when substituting ingredients. Take extra caution if you are replacing a yeast, as not all of them are similar and it could result in ruined bread. Follow the recipe ingredient list as much as possible. As a beginner, you may be afraid to open the lid of the bread maker in fear that is will ruin the baking process. 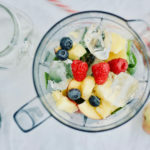 However, taking a little peek during the process will make it easier to identify if anything has gone wrong and give you time to make any adjustments and save the recipe. Top Tip: Leave the dough to bake for 5 or 10 minutes before opening the lid to check on your bread. The room temperature can affect how fast or slow the dough rises. If the room is too cold, the dough may struggle to rise to double in the time assigned by the dough cycle. 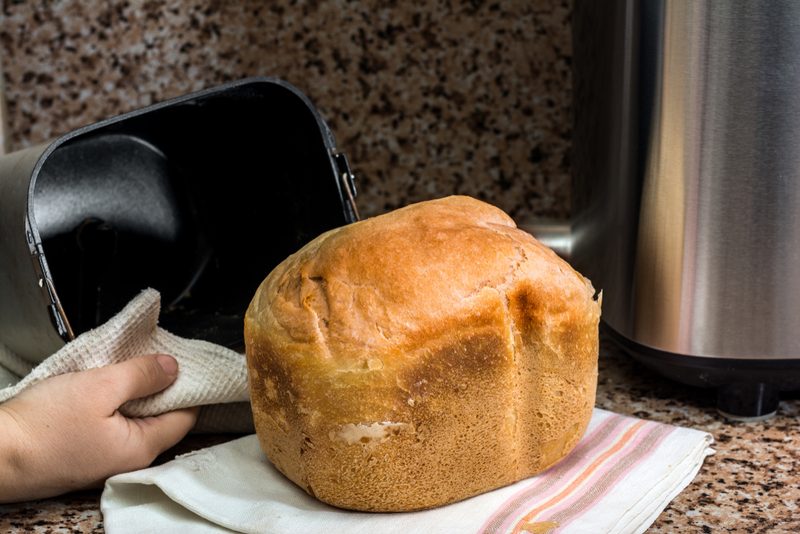 To ensure best results when using a bread maker, keep the appliance in a warmer area. Use the dough cycle as much as possible. Kneading the dough can be tedious and time-consuming, but the bread maker eliminates this process and does it for you. This feature is also great for mixing ingredients and using it will result in a better crust. Using a bread maker is pretty simple because the machine does all the hard work for you. Still, you may want more detailed instructions on how to use a bread maker. Use fresh ingredients where possible. Choose loaf size on the control panel. Select your preferred bread type. Choose the color of the crust. Leave the bread maker to bake the bread for about 3 hours. Once the bread is baked, slice it, spread on some creamy butter, and enjoy! 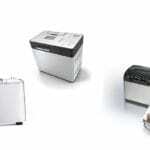 If you are feeling the need to buy a bread maker or upgrade an old one, read our Bread Makers Buyer’s Guide where we reviewed the five best bread makers and lay out everything you need to know before you buy one. As you get to know your bread machine more and become more confident, try experimenting with a basic loaf recipe and make the most out of your bread maker. Here are some ideas for you to try. 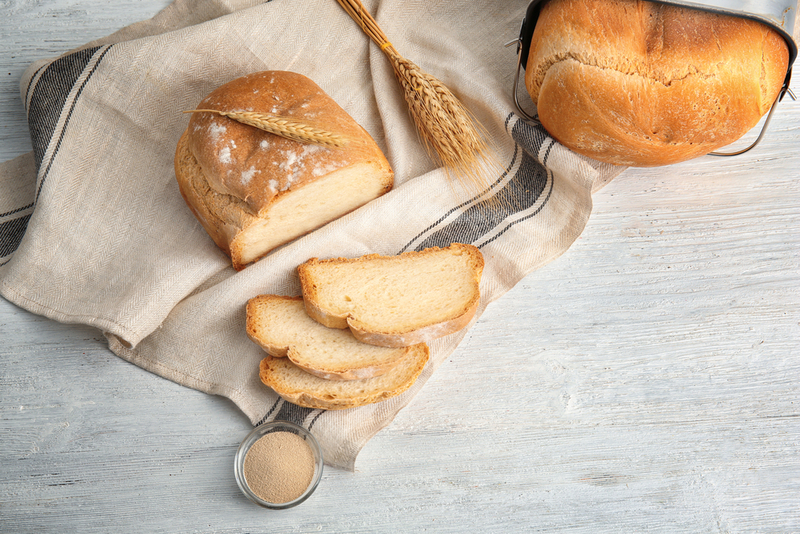 By adding different grains such as rye and spelt to the recipe, you will change the flavor and texture of the bread. Don’t be afraid to add a little extra into the mix such as cheese, nuts, or dried fruit if you’re making a sweet loaf. You don’t need to play it safe and stick to the basic settings. If your bread maker has the option, try changing it up. Bake some ciabatta, focaccia, or rolls. If you are after a stronger flavor, try leaving the bread to rest for longer. This long fermentation process can be archived by using the longest cycle available on the bread maker. 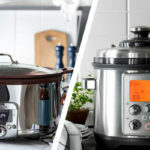 If you want to know how to use a bread maker to its full capacity, you should understand the benefits that these machines have. When you have a house full of people and you are preparing a meal for everyone, remember that your bread maker can be used as an extra oven. For instance, a bread machine can be used to prepare partially or thoroughly cook the cranberries, stuffing, and potatoes for a Thanksgiving meal. Pretty much everything apart from the turkey and some vegetables can be cooked in your bread machine. Bread machines stay cool to touch even when baking because they are entirely self-enclosed. This is a great feature especially in the warm summer months when you bake a cake or simmer some delicious soup. Bake away to your heart’s delight without breaking a sweat and keep cool in the kitchen. A bread maker’s jam cycle can be used to make things like chili and risotto. Put the ingredients into the pan and press start. When you come back an hour later, it will be done. This feature is simple and easy and will give you extra time with your dinner guests. Want to know one of the best benefits of a bread maker? The cleanup is pretty much non-existent. Check out the video above to see how easy it is. Bread machines are so much easier to clean than a saucepan. Just wash and rinse with soapy water, and it will be clean within a minute! In comparison to an oven, bread machines are a lot smaller and therefore use less energy. Instead of baking macaroni and cheese, bread, or a stew in the oven, use the bread maker for smaller jobs. 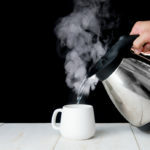 Not only will you be saving energy and reducing your bill, but you’ll be making your kitchen more eco-friendly and help towards saving the planet. 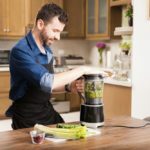 If you are interested in living a more sustainable life, check out these Eco-Friendly Products That Will Make Your Kitchen Greener. If you are a beginner in the bread making process, remember to keep it simple. Start with basic recipes such as a basic white loaf, french bread, or cinnamon raisin bread. Once you master the basics, you can move on to more complicated recipes and processes. 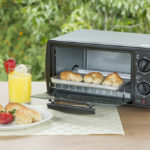 If you would like some ideas of what to make in a bread maker, check out our bread maker recipes.